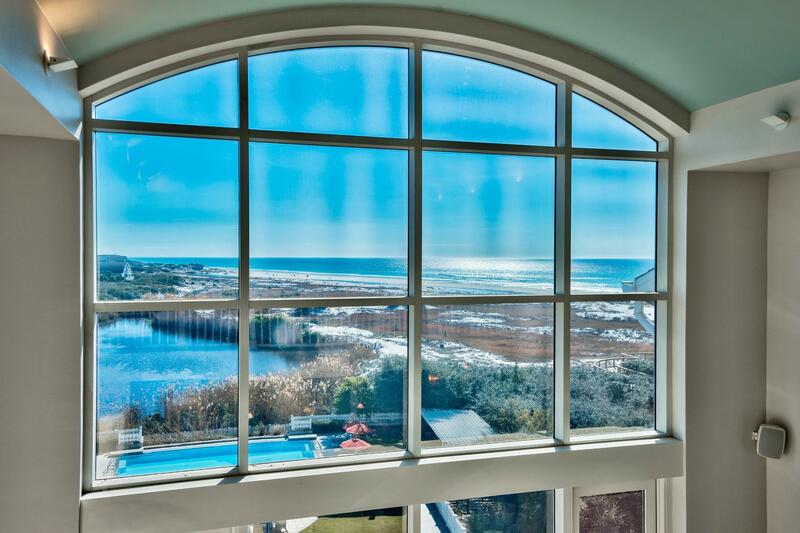 Expansive gulf views frame this top floor multi-level residence. 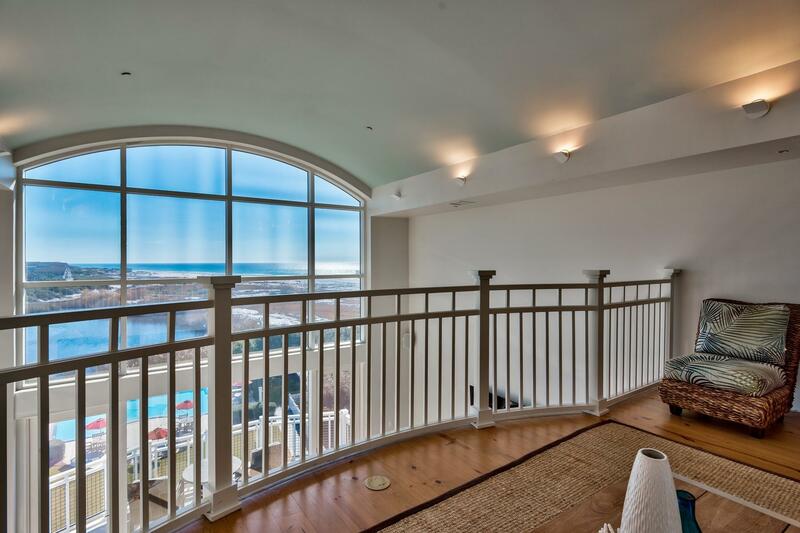 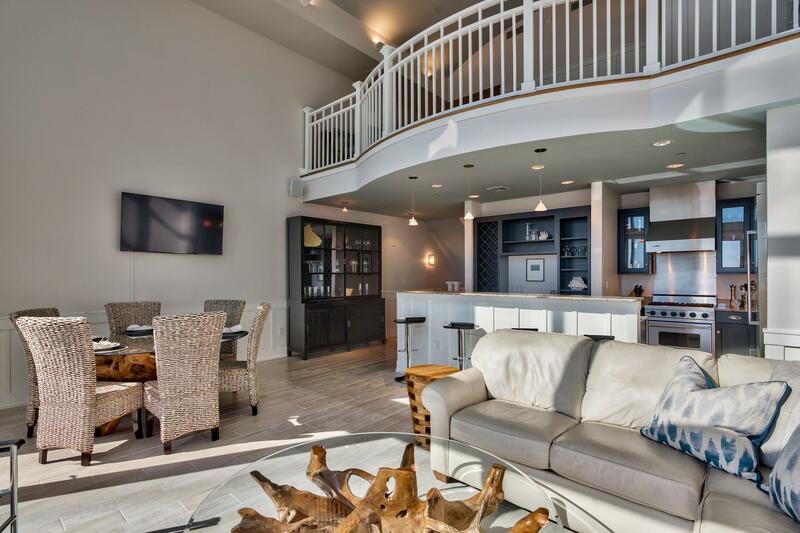 This updated penthouse-styled 3 bedroom plus loft retreat offers stunning vistas of turquoise water and white sand dunes. 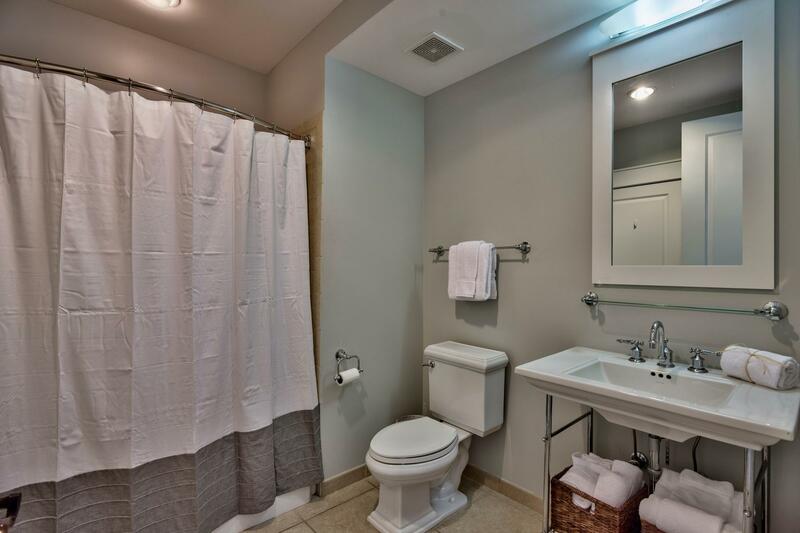 The spacious floor plan provides plenty of elbow room and privacy for all guests. 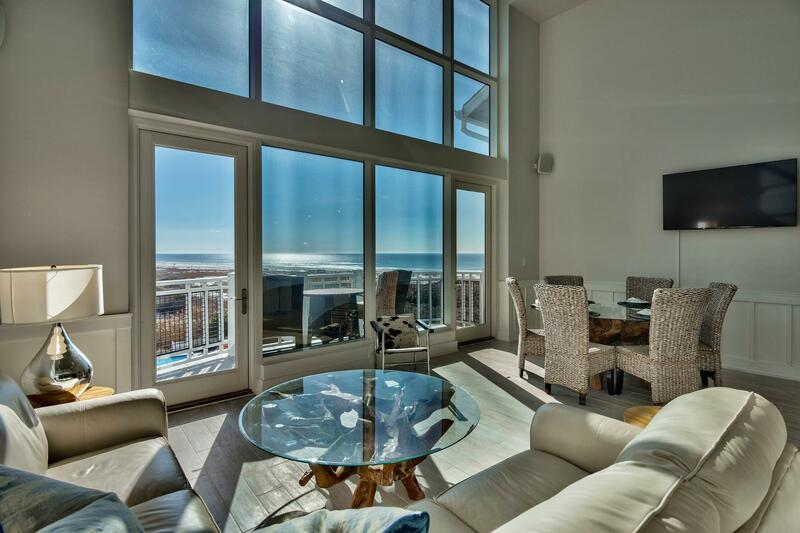 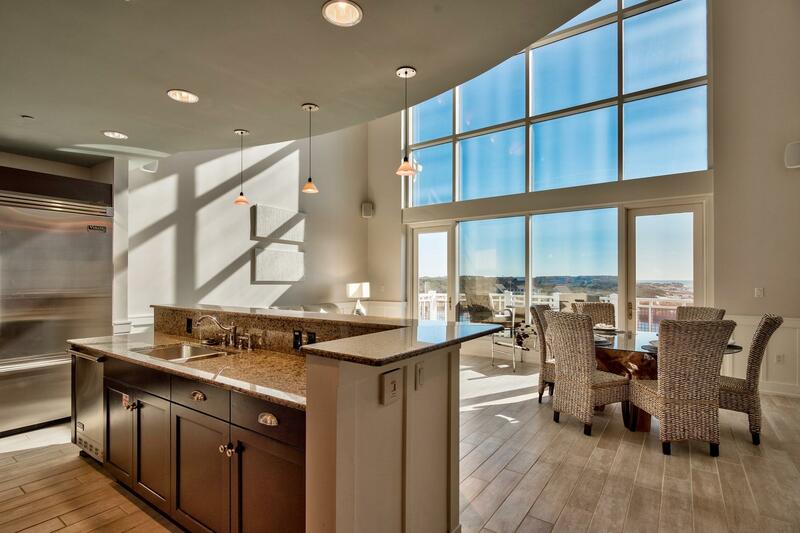 Dramatic 20' ceilings allow for a towering window system to capture the beach's natural lighting. 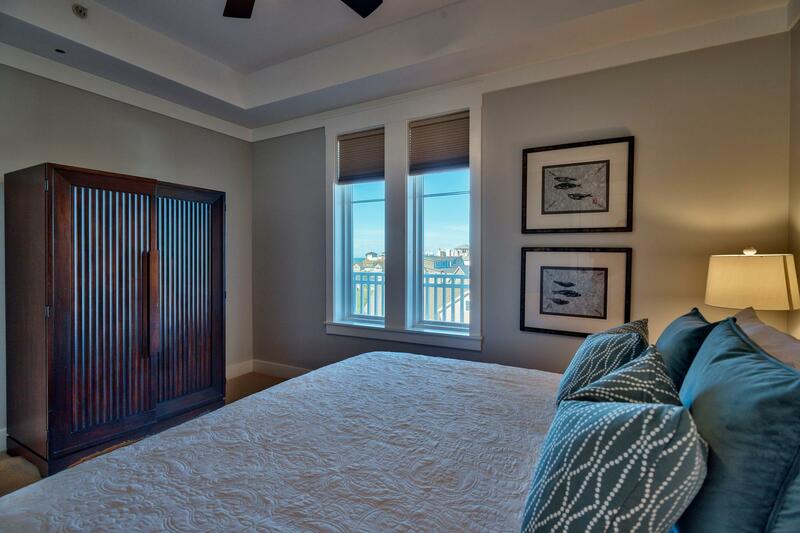 Designer decorated in a palette of coastal hues and comfortable, modern furnishings. 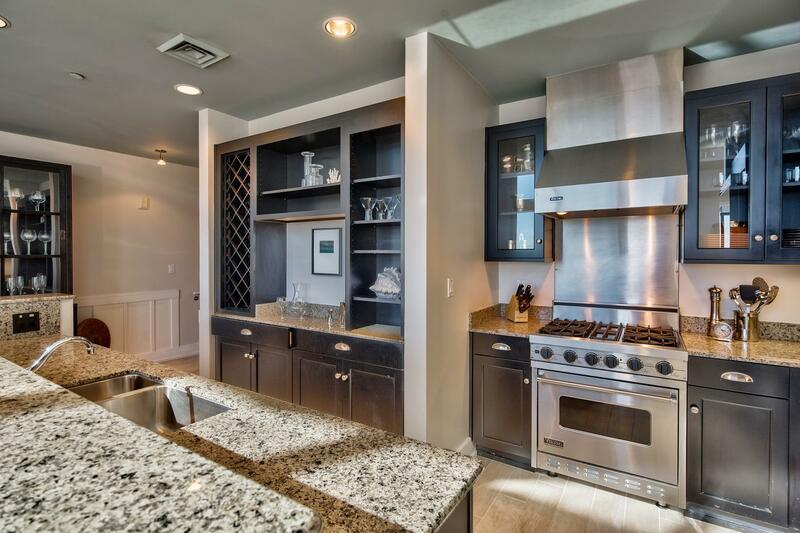 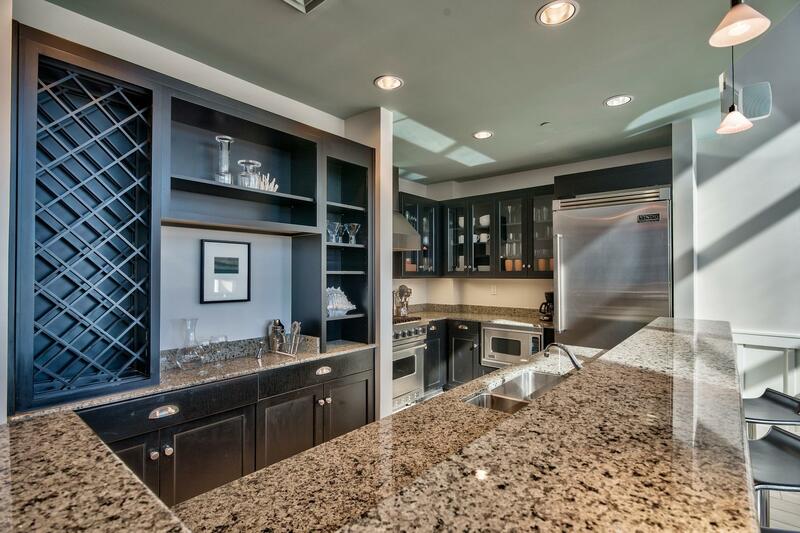 Entertain in an open living, gourmet kitchen setting that leads to a balcony well-positioned over the graceful private pool. 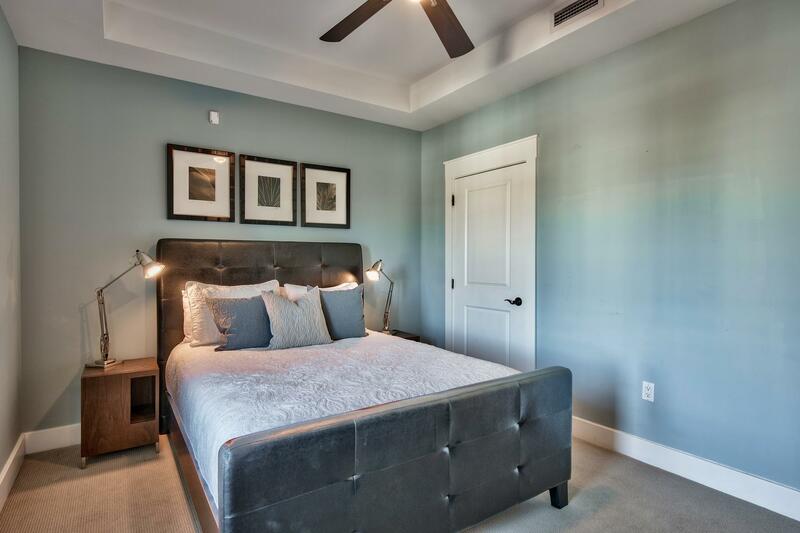 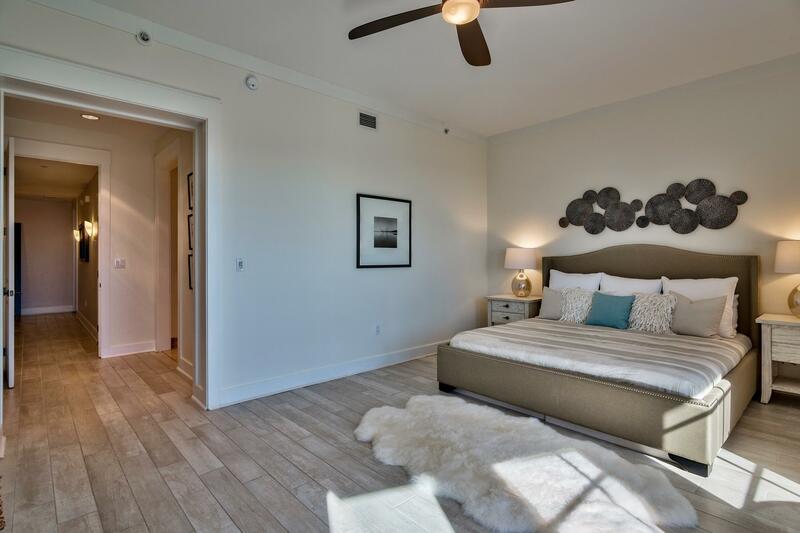 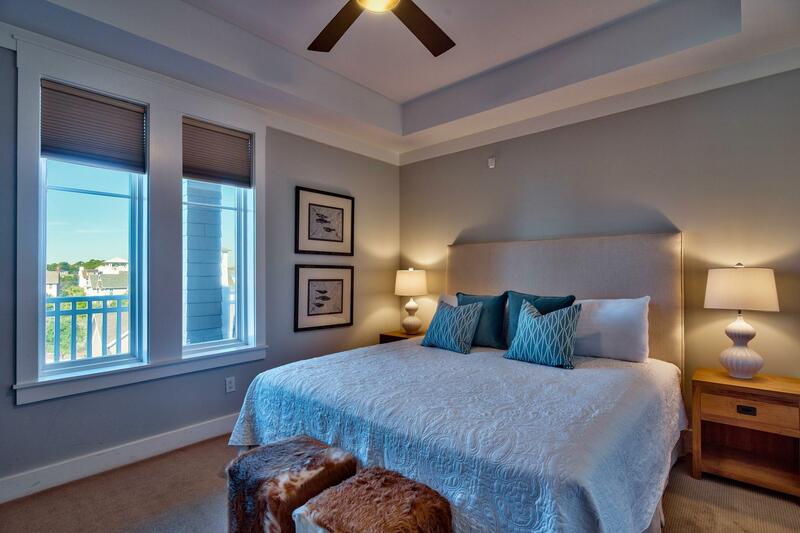 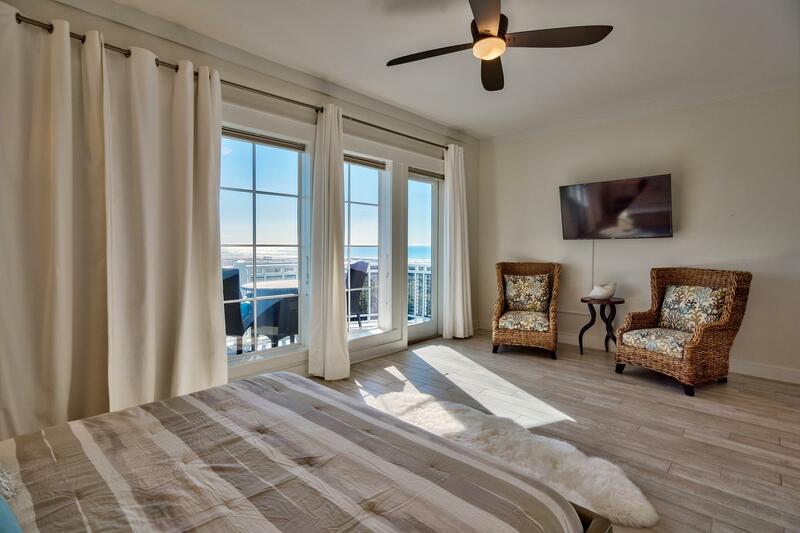 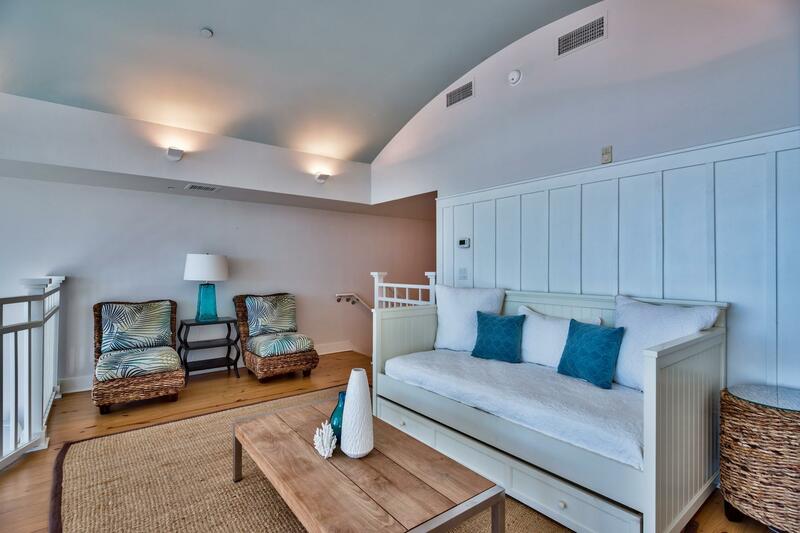 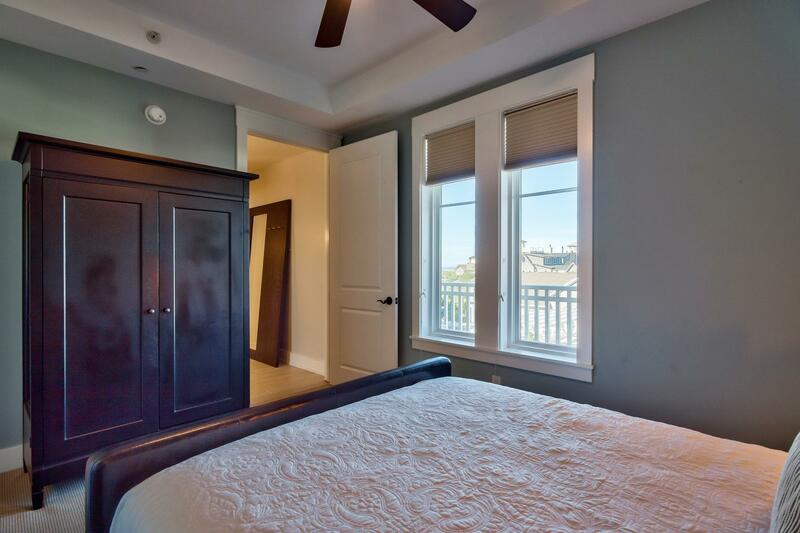 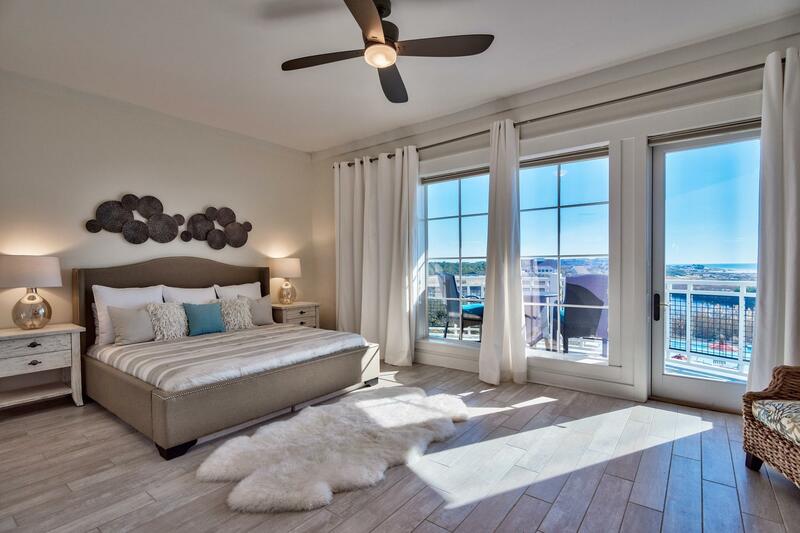 The exquisite master suite has its own gulf front balcony offering direct beach views. 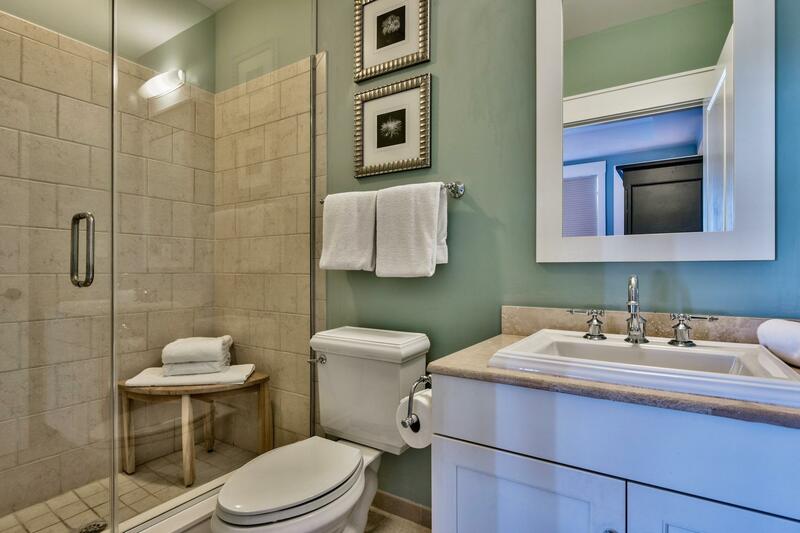 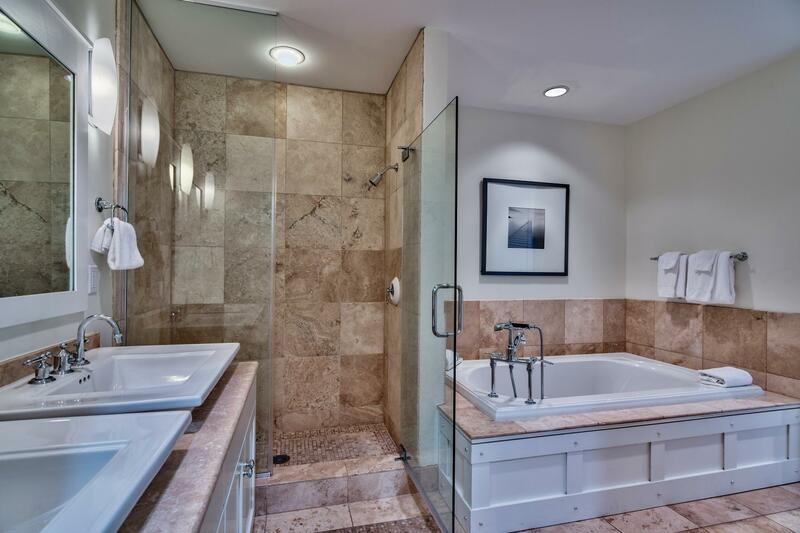 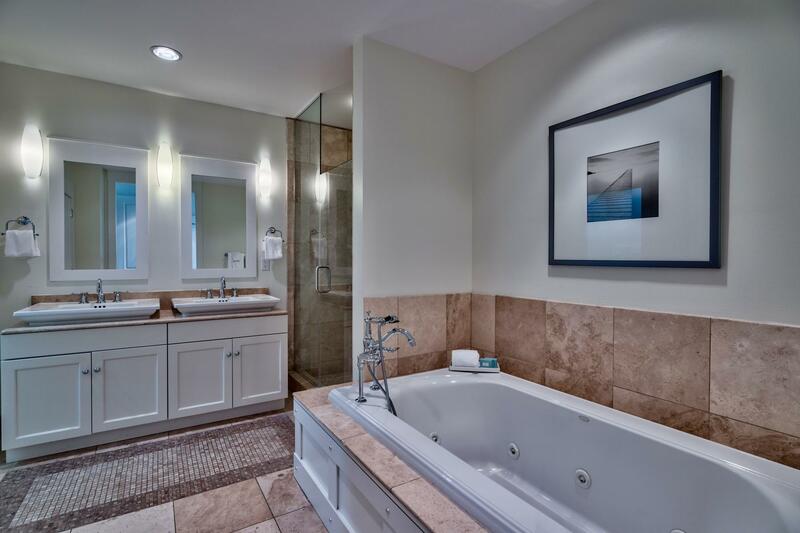 The second and third guest bedrooms both offer ensuite baths. 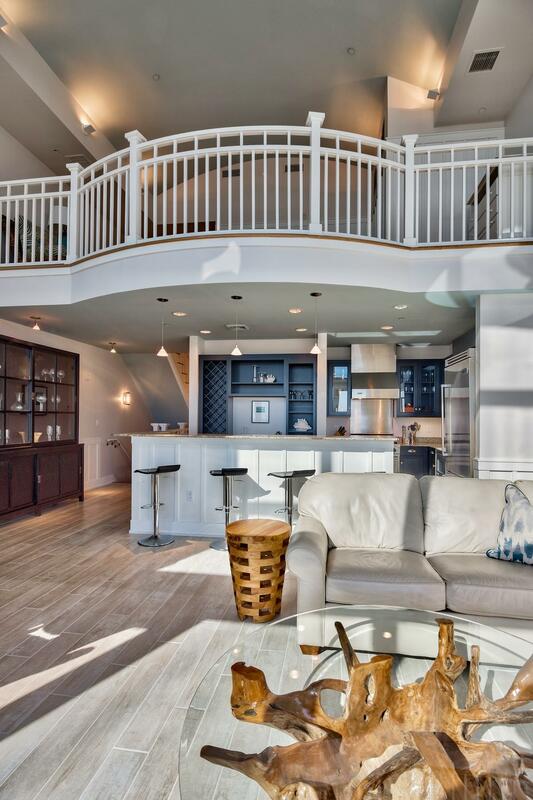 A bonus top level loft offers a flexible sleeping or living space. 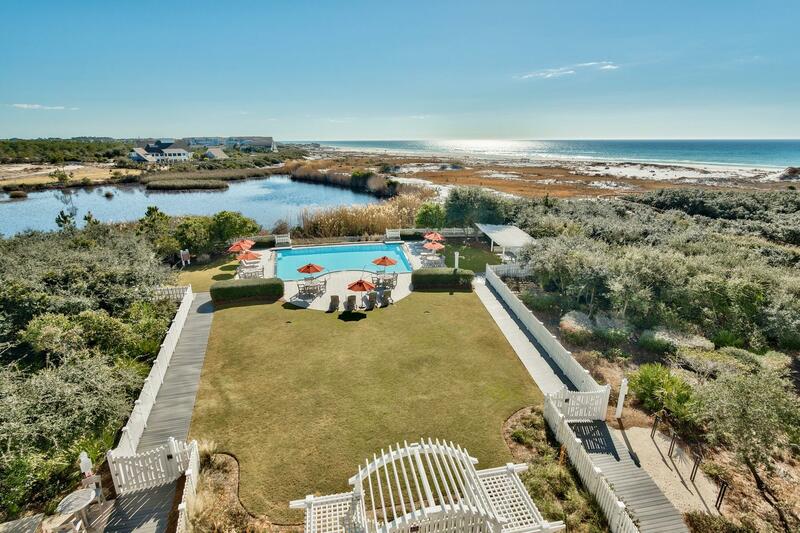 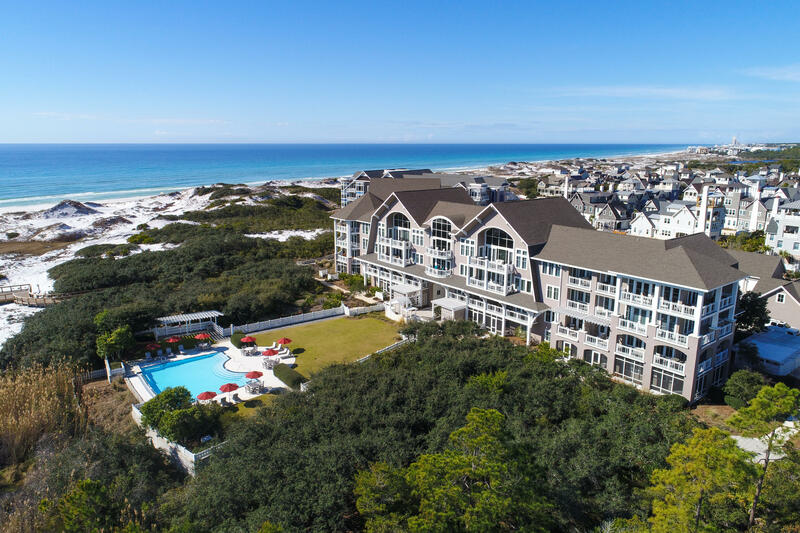 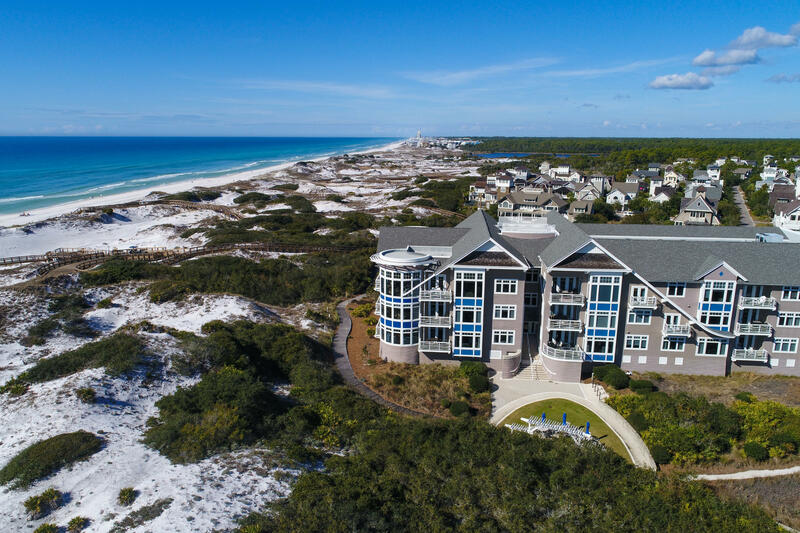 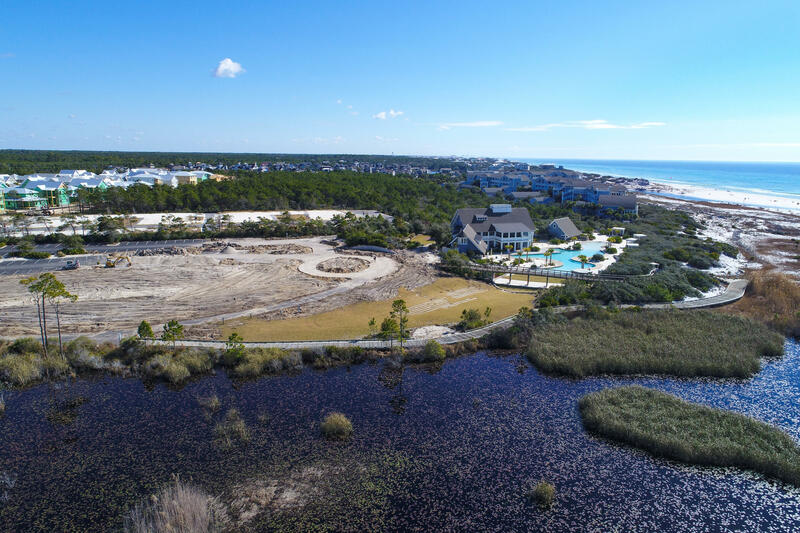 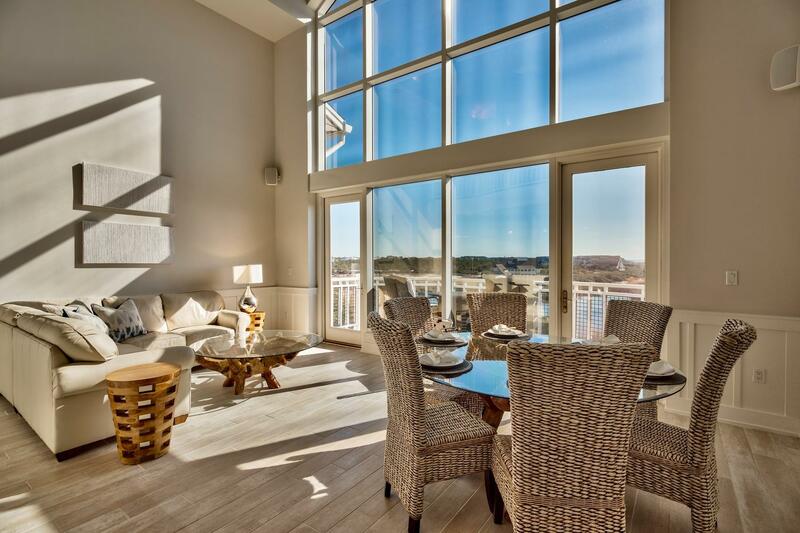 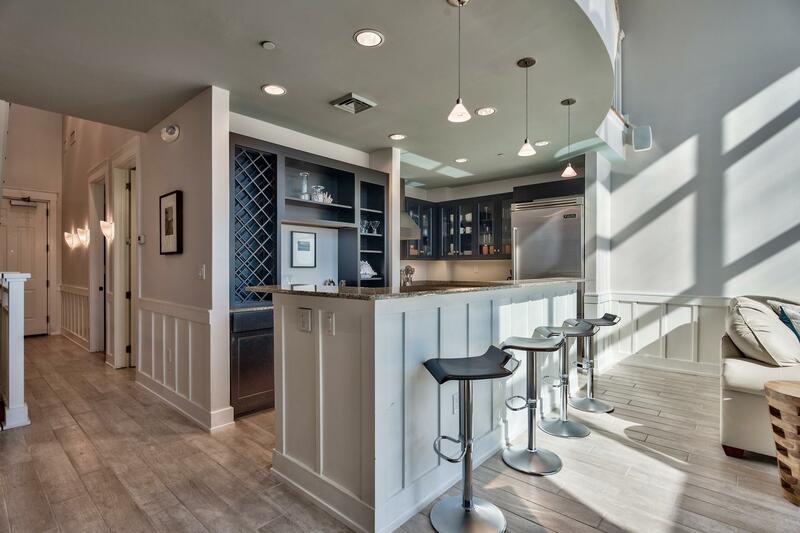 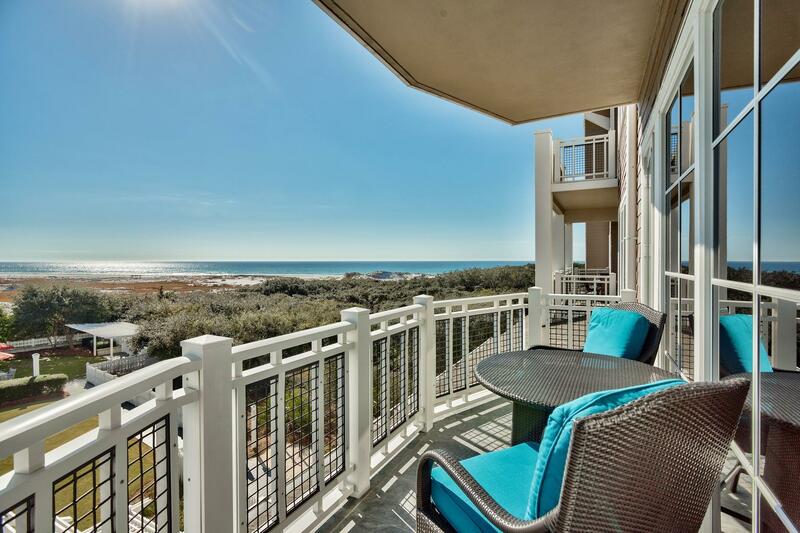 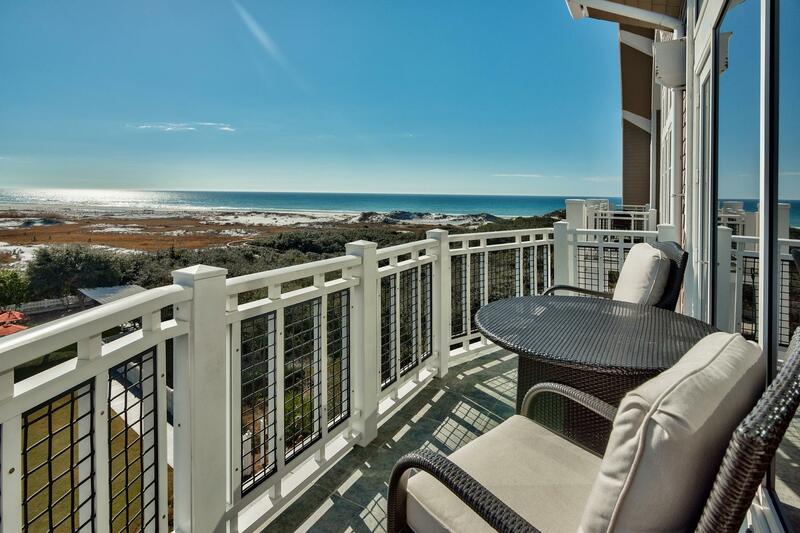 Located in the guard gated section of WaterSound Beach, this retreat offers quick access to the nature lover's beach boardwalk system and grill area. 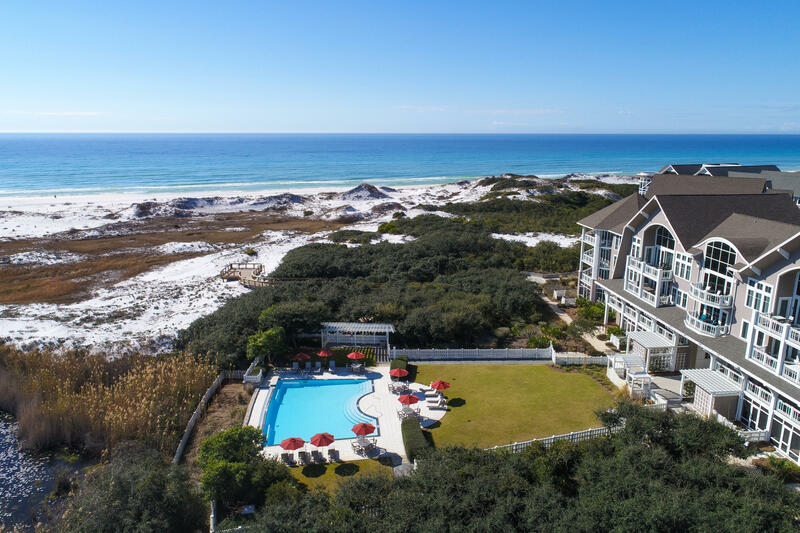 Enjoy the privacy and retreat of Watersound Beach!